Have a question about garage door installation? We have the answers that you need! Check out our answers to some of the frequently asked questions that we hear on a daily basis. 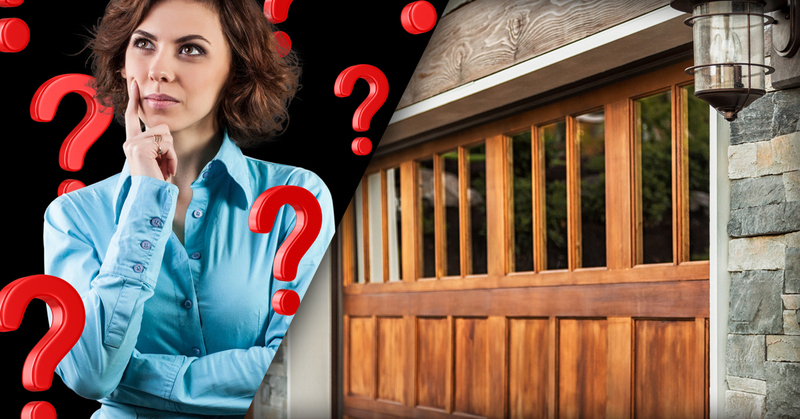 Hopefully, this FAQ will provide you with some of the answers that you’ve been looking for; if not, you are welcome to contact us in our Boston-area garage door shop. We’ll answer any questions that you might have and can even provide you with a free consultation on your garage door installation needs! It really depends on several factors, including the size of the garage door and what kind of garage door that you purchase. We have access to a huge range of garage doors, so we can find one that fits your budget. On a national average, most homeowners spend around $1,000 for a new garage door with installation. You can spend as little as a couple hundred bucks to several thousand, depending on your needs. Talk to us about your budget and needs and we’ll find the door that’s right for you. Our garage door installation team is very experienced, so we have the process of installing a new door down to a fine art. Because of that, we can install most new doors in just a few hours. More complex projects or multiple doors could take longer, but we complete the majority of our clients’ projects in as little as a day or less. Do I have to paint my new garage door? Only if you want to! Our garage doors come in a huge variety of colors, so we’re sure to be able to find one that coordinates with your current color scheme. We carry doors in all of the latest colors as well as classic colors. If you want your door to perfect match the color scheme of your home, though, you can easily paint the door to match. What styles of garage doors do you carry? Anything you want! We carry garage doors made from wood, steel, aluminum and other materials. All of these materials are available in styles that range from classic to modern to traditional. We even have doors that have windows and ones without. The options are truly limitless when you work with Mass Garage Doors Expert. When are you available to start my installation? Right away! In many cases, we can start installation the same week, and often we can even start the next day. We know that the garage door is an important part of your home and if it’s broken, it needs to be replaced as soon as possible. Let us know if you have a garage door emergency and we’ll do our best to fit your new garage door installation into our schedule as quickly as we can! Can my garage door be fixed instead of replaced? Possibly. We can definitely take a look at it and help you make that call. Sometimes fixing a garage door isn’t as cost effective as replacing it, especially if the garage is older and will need to be replaced soon anyway. Call our team for a consultation and we’ll come to your property to take a look and let you know if it can be repaired or should be replaced!